Complex Says: Nas' first four album covers are all more or less the same: They're all images of his face with the Queensbridge Projects in the background. But we only got love for the first two. 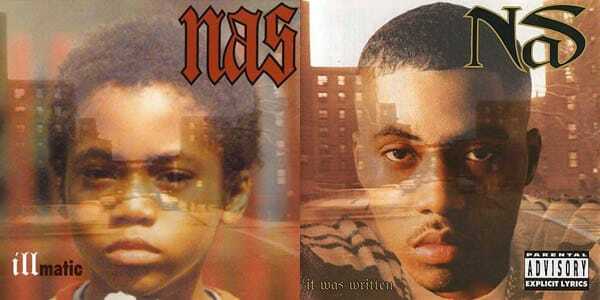 Not only because Illmatic and It Was Written are the better albums, but because at least you could make the argument that the covers reflected Nas' growth from a boy to a man. Meanwhile, the covers for I Am... and Nastradamus seem to imply that instead of growing up and becoming an old man, Nas will turn into solid gold and eventually be reborn as a hoodied goon.